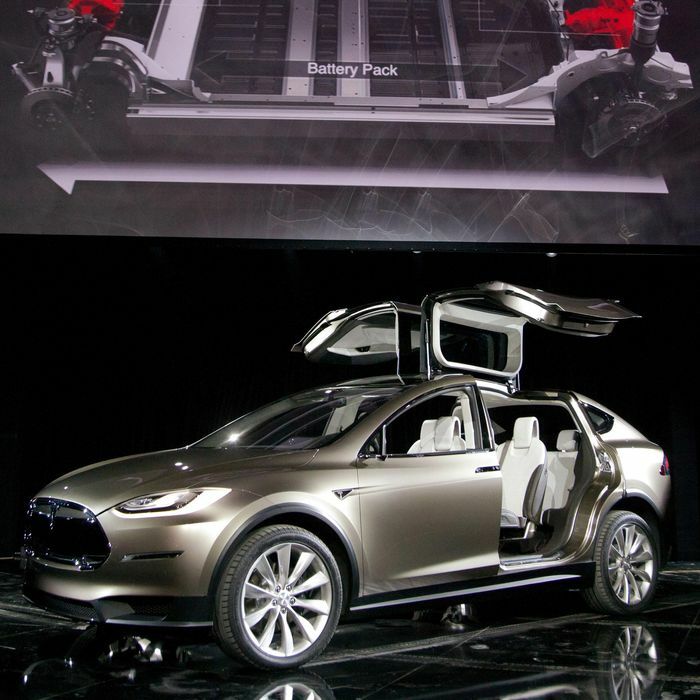 Will the New Tesla SUV Make You a Better Parent? How Much Better a Parent Will You Be If You Buy a New Tesla SUV? Elon Musk’s first Tesla, in 2008, was a sports car — great for Jay Leno and George Clooney, of course, but more an experimental toy than something that would change the way we drive. 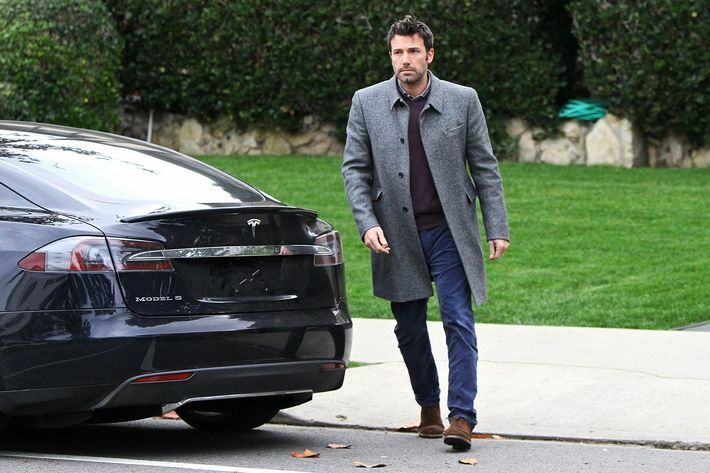 The Model S sedan came next, in 2012, attracting other plug-friendly bold-faced names like James Cameron, Cameron Diaz, and Ben Affleck. Tonight Musk introduces the new SUV, Model X. It’s the next phase of Tesla’s evolution away from being the DeLorean (or the Cord), and toward being something you could actually drive if you’re not a celebrity with green-cred to prove. The family-size Model X is meant to compete with giants BMW and Toyota. The Model X was originally announced in early 2012 with a target to deliver the first wave of cars in mid-2014. It will finally launch tonight during an event at Tesla’s factory in Fremont, California. It will be able to seat seven (perfect for Silicon Valley peewee soccer) and go 250 miles at more than 300 horsepower before needing a recharge. It can also do 0-to-60 in five seconds, but you aren’t going to do that in a school zone. 2. It’s late, right? What caused the delay? Full-scale production of the Model X was delayed due to battery issues (which the Model S reportedly had) and Musk’s mission to hit his 2013 goal for Model S sales and shore up the company’s overall profitability. 3. Here’s why the Model X is so important for Tesla. It should show that Tesla can scale up. The Model X will also test Tesla’s strength as a company. This is the first time in Tesla’s history that it has had two models in production at the same time. 4. What is up with the competition? The Model X will be the only electric luxury SUV on the American market for at least a year (the BMW X5 EDrive and Audi Q6 are not far behind), which gives Tesla an advantage in a relatively small market. So far reservations are strong; Tesla has booked 30,000 reservations for the Model X and plans to reach its goal of selling 50,000 cars this year. 5. It’s still not for the 99 percent-ers. At $75,000, the Model X will actually be $5,000 more than the starting price of the Model S because it’s heavier and more complicated to build. A fully tricked-out X will run you $132,000 and $144,000. But that shiny green feeling never seems to come cheap.